With the advent of autumn the time has come to set aside the rum fueled neon colored libations of summer and reach for mellower fare for the coming months. In this issue I attempted to provide something for everyone, something sweet, something rich and something warming and strong to capture the wide spectrum of seasonal flavors: from the sugary delight of Halloween to the spice of Thanksgiving. Though I am writing from Texas, where the seasonal shift is presently more apparent through the change in décor rather than weather I have found myself tempted more often by Sidecars and whiskeys than the ubiquitous Margarita. I hope these creations can lead you toward something new in the coming months, always remember to have fun and experiment – take something here and tailor it to your own tastes. 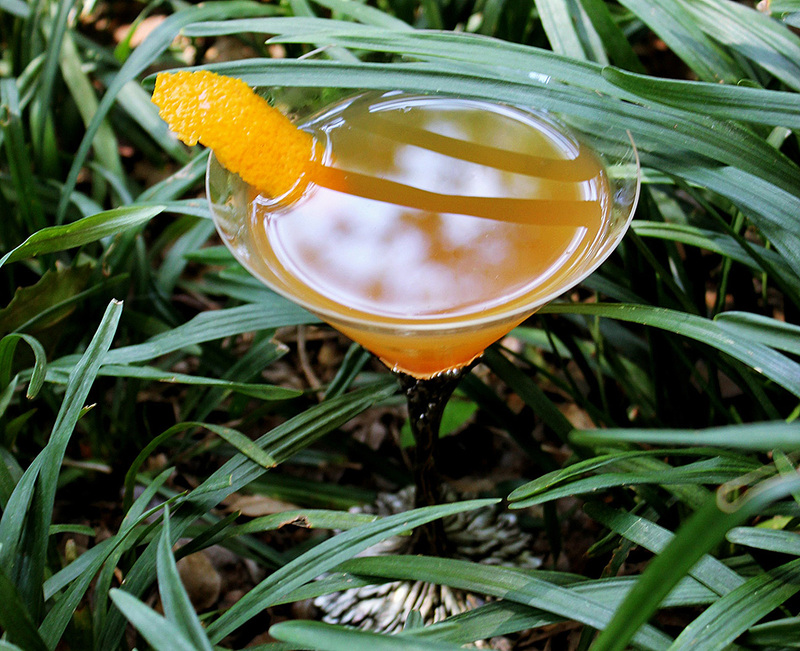 The first drink is my ode to my favorite thanksgiving treat and perhaps everyone’s favorite seasonally available drink. The second pays homage to the changing of the leaves, and makes use of the recent trend in maple infused and flavored spirits. The third and fourth are quick and easy additions to a Halloween party which are designed as shooters, but could fairly easily be scaled up into a punch, hopefully one accented with a block of dry ice. While some Thanksgiving flavors may not lend themselves well toward drinkability, turkey infused vodka was a major misstep, others are simply bliss. Thanksgiving is not complete without pumpkin pie, the creamy texture, the sweetness and spice complements the savoriness of the preceding meal to perfection. While the pumpkin itself provides richness and some flavor, the nostalgia inducing punch comes from the blend of cinnamon, allspice, ginger, cloves, and nutmeg often sold together as ‘pumpkin pie spice’ in fact. To make your own pumpkin spice flavored vodka simply mix a fourth of a cup of vodka with a tablespoon of pumpkin puree and two teaspoons of pumpkin pie spice. Allow the mixture to sit for at least an hour then filter through a coffee filter. Likewise, pumpkin spice flavored sugar can be made by mixing a few dashes of the spice blend with a small amount of castor sugar or another fine sugar. 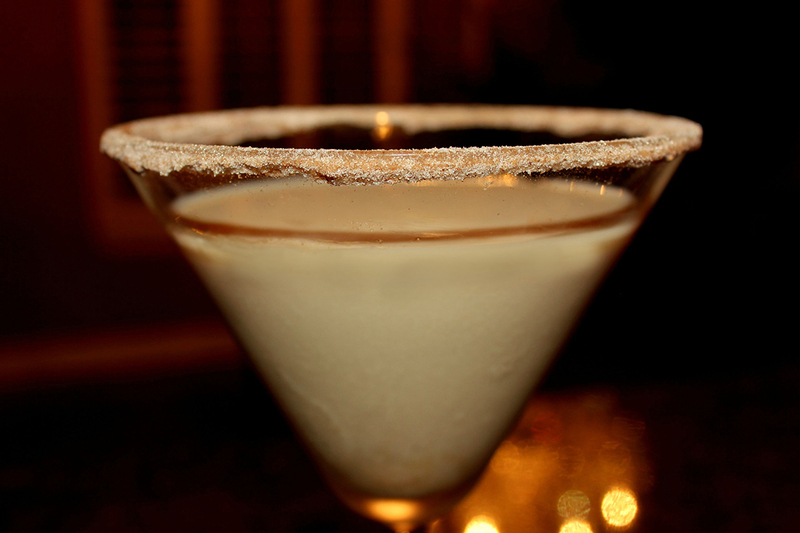 If you want something more akin to the astoundingly popular pumpkin spice coffee drinks which pervade the fall coffee liquor can be added to make this cocktail a pumpkin spice white Russian, or iced coffee could be added for something not quite as strong. 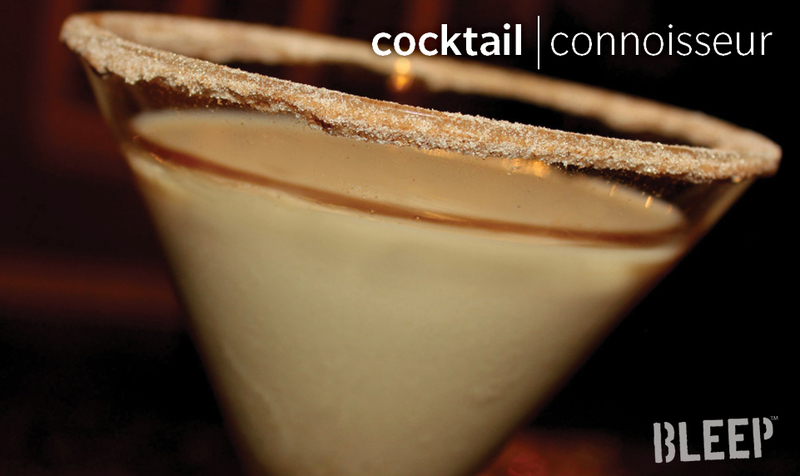 Combine Vodka and Irish Cream in a shaker with Ice, shake vigorously and strain into sugar rimmed martini glass. Though maple trees are more often tapped for syrup during the spring their chromatic brilliance is on display during the autumn, and besides, I doubt a leaf distilled spirit would taste particularly good. Of late a number of producers have been releasing maple flavored spirit variants and liquors, here I used a popular Canadian whisky flavored with maple, alternately another smooth whisky could be used and accented with a small amount of maple liquor, or an even smaller amount of high quality maple syrup, in which case the sugar should be omitted. A traditional old fashioned is made from bourbon, bitters, water and a sugar cube. Here I substituted in some citrus notes by replacing the water with juice and the usual Angostura bitters with orange bitters which aren’t quite as spicy. A sugar cube can still be used if desired, but castor sugar dissolves much more easily. Combine all ingredients in a shaker with ice, shake vigorously and strain into a martini glass or a rocks glass over ice. Some people love Halloween some people hate it, either way you can celebrate or drown out the sugar enhanced hyperactive doorbell ringing with a few quick drinks. These two shooters are simple and easy to pull together right before a party, they also can be scaled following the same proportions for a communal punch bowl. If you want richer colors – if your gore looks a bit too much like ectoplasm and your blood is too watery for your liking – a very small amount of food dye, especially the gel type used for cake icing, will provide a bit more opaqueness and deeper cooler. 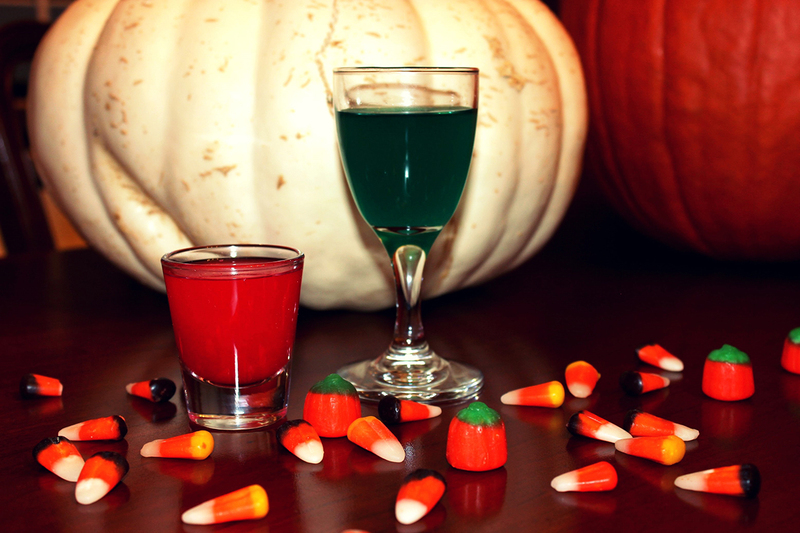 It is Halloween after all, and even a drink deserves a bit of a costume to look scarier. Combine all ingredients in a shaker with ice, shake and strain into shot or cordial glasses.